Welcome to the home page of the AEW&D Footpaths Preservation Society. This site was created to inform existing and prospective members about our aims and activities and to keep you up-to-date on our monthly programme. 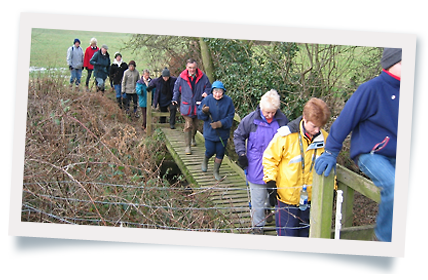 local walks and some links to other related web-sites. Mobberley Circular - with aeroplanes! © 2003 - 2019 AEW&DFPS.